Utah Tourism has been making waves in the tourism sector the last couple of years. Their top-dog, Vikki Varela, won the 2016 State Tourism Director of the Year after generating nearly $1.1 billion in state and local tax revenue. I was a single spoke in the enormous team that helped generate campaigns like, The Mighty 5, Find Your Greatest, The Road to Mighty and the latest winter campaign, More Mountain Time, which have all continually pushed the needle for Utah Tourism and Utah’s economy as a whole. I became a part of UOT team at the tail end of The Mighty 5 campaign, helping slice digital assets and assist in digital production. 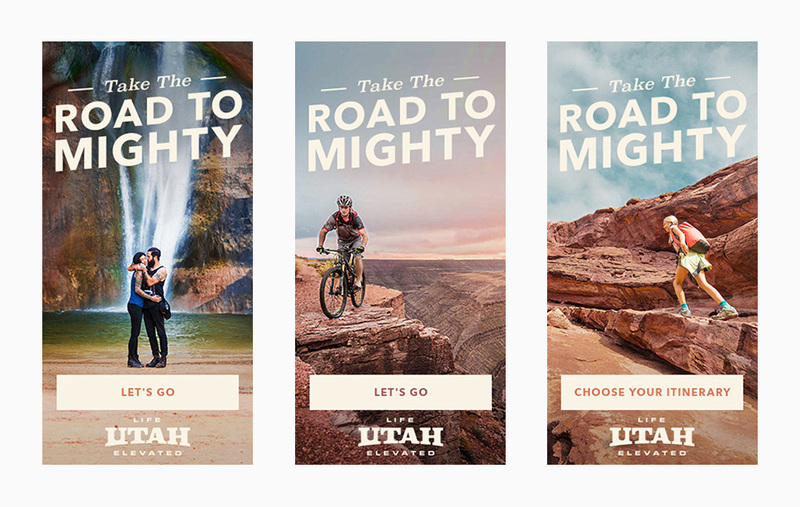 The Mighty 5 campaign, which celebrated the five national parks that Utah has to offer, laid the groundwork for the second iteration, dubbed The Road to Mighty. The Road Mighty spoke to the emotion and intent behind the journey, not just the final destination as The Mighty 5 might have focused more towards. Again, I was apart of the digital team, generating and curating digital banners for use around the web. Find Your Greatest was a three-year long push to elevate the existing “Greatest Snow on Earth” language that Utah started long-ago. 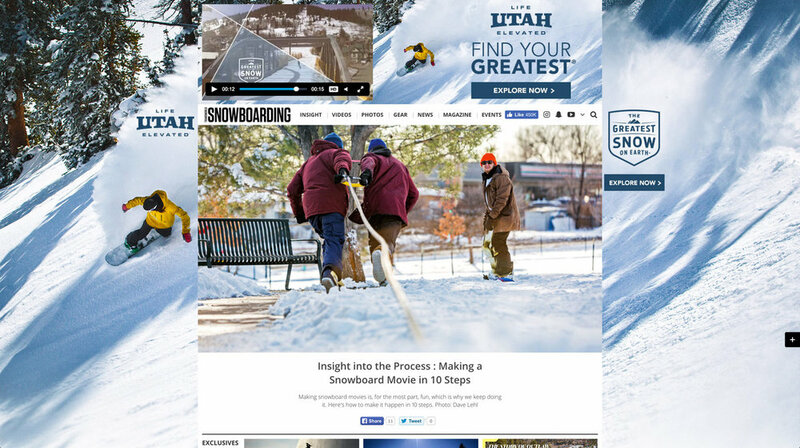 Once again, and for two consecutive years, I served as a production designer for digital ads and OOH placements that incorporated snow totals and the insane proximity to unbelievable skiing in Utah. More Mountain Time takes proximity in Utah to whole new level. Find Your Greatest was all about finding your individual way of “doing” Utah winter. More Mountain Time extends this principle by directly correlating closer proximity to the mountains (10 resorts within 1hr of SLC Internation Airport) with more time to enjoy whatever it is you choose; more turns, more drinks, more time with the kids, less stress and a hell of a lot of good snow. Myself, a senior copywriter and an art director were responsible for brainstorming this concept, which we then presented to our radical (and incredibly trusting) CD and eventually to the board responsible for Utah’s previous campaigns and the tremendous influx in Utah tourism. On location at Utah classics; Alta, Snow Basin and Deer Valley, the team, with help from Camp4 Collective, Ben Sturgulewski and Adam Clark— the campaign was brought to life—for dissemination Fall of 2017.